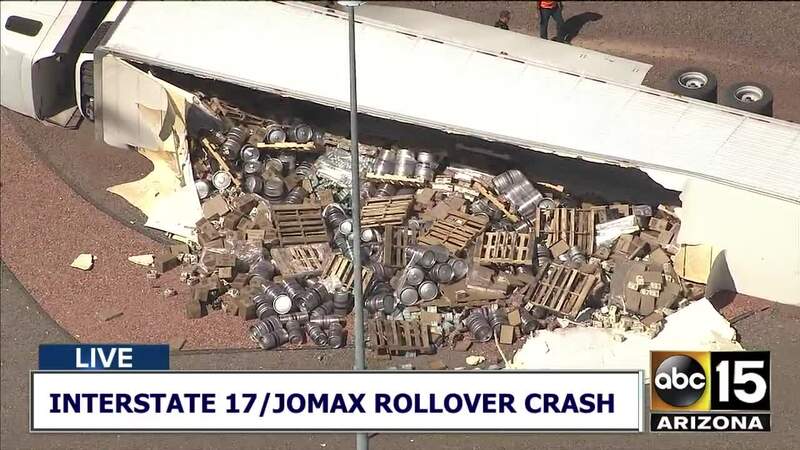 A semi-truck carrying beer rolled over on Interstate 17 in Phoenix on Monday. 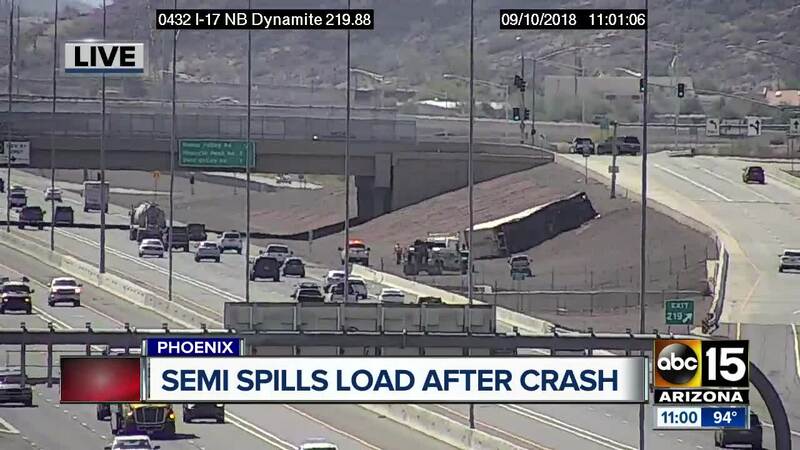 The crash happened on southbound Interstate 17 near Jomax Road around 9:00 a.m. The Arizona Department of Public Safety said an SUV and was also involved in the crash. There were minor injuries involved. Air15 video showed the semi-truck on the Interstate 17 embankment with kegs on the rocks.